Celebrate the season of warm coco and crackling fires with enthusiasm! 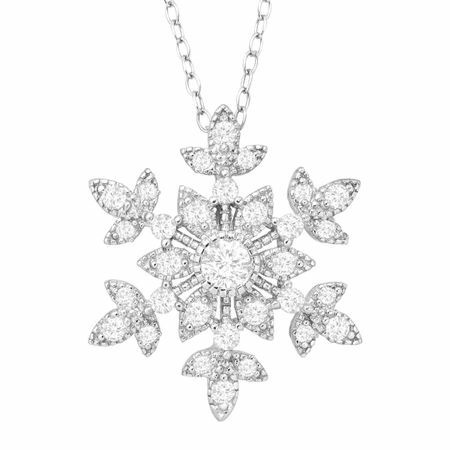 Crafted in flawless sterling silver, lined with created white sapphires totaling 1 ct and finished with a beaded effect for added body, this snowflake necklace is as breathtaking as its natural counterpart. Piece measures 13/16 by 13/16 inches. Comes with a sterling silver 18-inch cable chain with a spring ring clasp.